Last month when I was on Snarkitecture’s website getting information on their recent Odin Pop-Up Shop project, I noticed this project earlier in 2012. 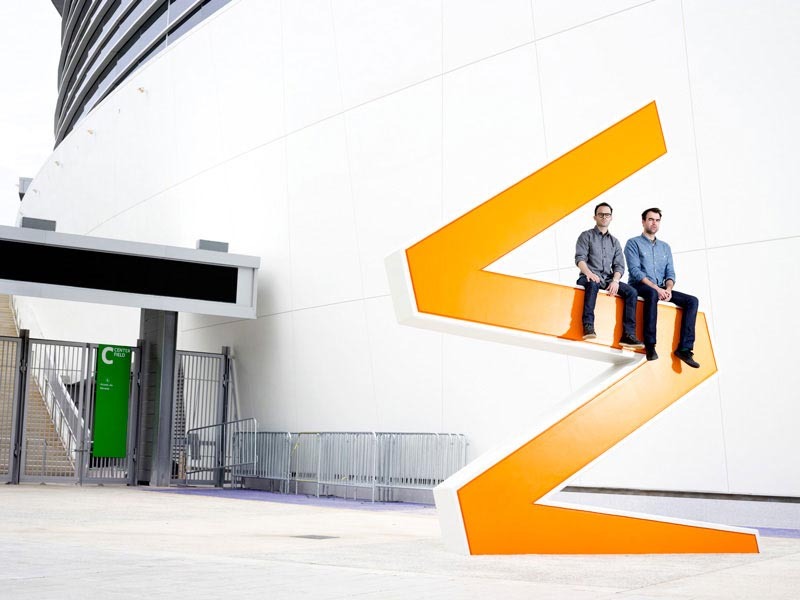 Alex Mustonen and Daniel Arsham, the Snarkitecture duo, reconstructed the 10-foot letters from the old Miami Orange Bowl and whimsically scattered around the east plaza of the new Marlins Ballpark. 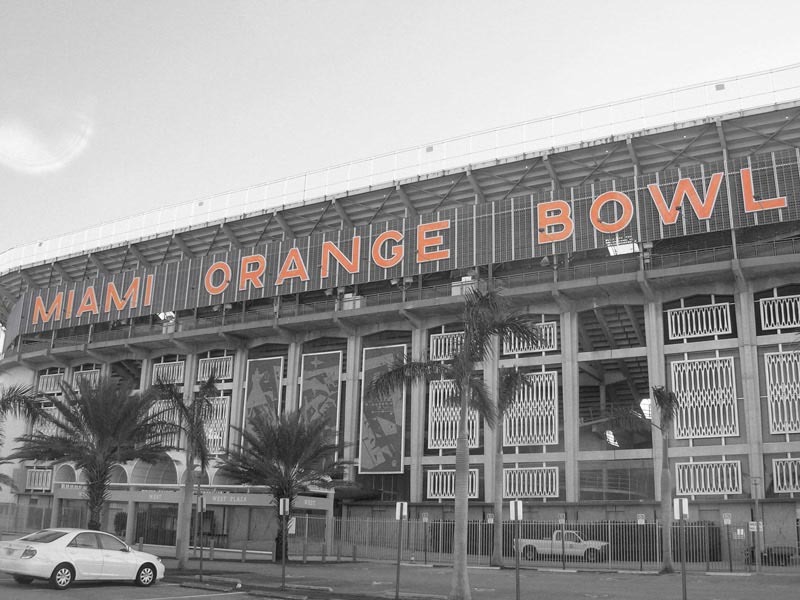 Created as a sort of memorial to the stadium that was demolished in 2008, A Memorial Bowing feels like a mix of ruins and renewal, with some of the letters submerged and others standing tall. The alignments of the letters spell out new words and are a nice complement to the new stadium, which can be viewed through the type at different points.. Really, you can’t go wrong with monster-large type. This entry was posted in Architecture, Art, Fun, Industrial Design, Street Art, Stuff We Like, Typography. Bookmark the permalink.